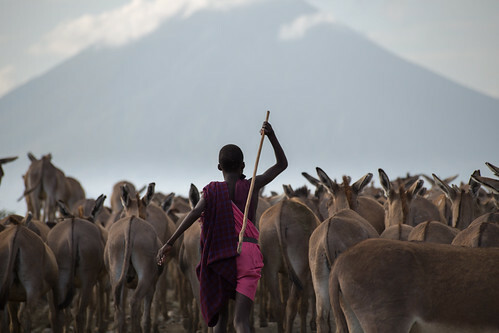 The road to and around Lake Natron led through Africa's famous Rift Valley. It presented moment after stunning moment of new sights - both cultural and natural. Highlights included time spent with members of the local Maasai tribes, including a stop at a local market, a number of craftswomen selling their jewelry at a volcanic crater, and of course my half Maasai guide who helped me lug my gear and ford the river back and forth up the Ngare Sero Gorge to the falls. A special thanks to my Safari Guide from Fed Tours and Safaris (fedsafaris.com) who partnered with me for this project. For questions about licensing these photos please reach out directly. Make sure to visit alex-berger.com if you're interested in purchasing prints.